1-Day Symposium on Assistive Technology for Music and Art to be Live-Streamed, Sunday, May 20, 2018, 1-4 pm. 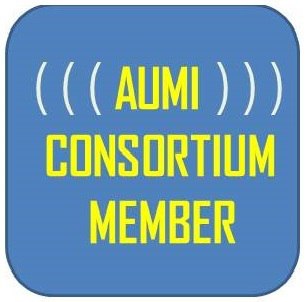 AUMI 1.1.6 for iPads and iPhones is now available free of charge! August 27, 2017 — Henry Lowengard, developer of the iPad version of AUMI, has announced that the newest version is now available--and not only that, it is free! AUMI-KU InterArts Team Awarded an NEA Art Works Grant! October 24, 2016 — Come to our Pre-Halloween Party! AUMI-KU InterArts in the News: "Do You AUMI?" Ph.D Candidates in WGSS conduct oral history project with performers of "(Un)Rollling the Boulder"
January 10, 2015 — Liam Oliver Lair and Ashley Mog, both Ph.D.
Public Performance, "(Un)Rolling the Boulder: Improvising New Communities," The Commons, October 30, 2013, 6- 7pm, Free! October 14, 2013 — The public was treated to a free performance utilizing the AUMI and other mixed-ability improvisation tools and media on October 30, 2013 at the KU Commons, Spooner Hall, from 6-7 pm.